2 Bedroom Semi Detached House For Sale in Yeovil for Offers in excess of £160,000. This delightful two bedroom semi-detached property has been sympathetically modernised over recent years to create a contemporary, spacious home to suit a variety of lifestyles. 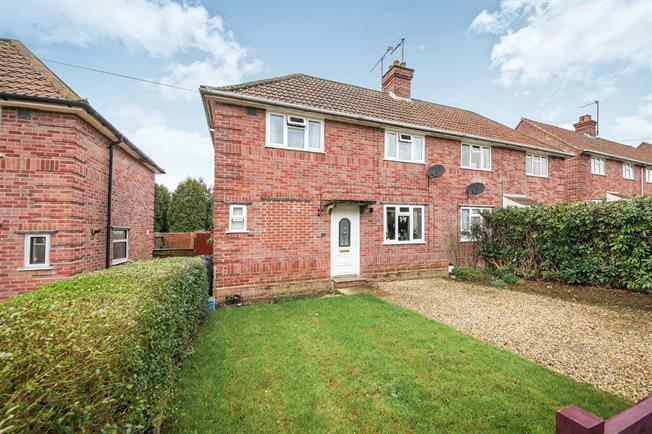 The property is situated on a good size plot that benefits from driveway parking to the front and a spacious garden to the rear that is largely laid to lawn with flower and shrub borders, as well as a patio area. Internally the spacious accommodation briefly comprises: Entrance hall, living room with feature fireplace, open plan kitchen/diner, WC, two double bedrooms and a bathroom. Internal viewing is highly recommended to appreciate the space and quality of finish on offer. A spacious room, presented with a stylish fitted kitchen offering a range of contemporary base and wall mounted units with oak worksurfaces over, incorporating 5 ring "Bosch" gas hob, extractor fan, mid level oven, microwave, "Valliant" gas fired combination boiler, washing machine, dishwasher and fridge/freezer. The room is presented with oak effect vinyl flooring, elegant white tiling to splash prone areas and benefits from a window to side and French doors to the rear. A light and airy, double aspect room with windows to the front and French doors to the room. The Living Room also benefits from a feature fireplace with oak lintel and a fashionable vertical radiator. A double aspect room with windows to the front and rear, radiator and an alcove offering excellent storage. With window to front, radiator and cupboard offering various storage facilities. With window to front and stylish white suite comprising panelled bath with fitted shower attachment, wash hand basin with mixer tap and low level WC. The bathroom is presented with elegant half wall tiling and tiling to the bath area. To the front of the property there is a private driveway which runs adjacent to a useful lawned area enclosed by hedging. A pathway runs from the front door providing side access. To the immediate rear of the property, the garden is laid to patio which then extends to a large lawned area with shrub and flower borders, leading to a summer house and high quality shed storage area respectively.